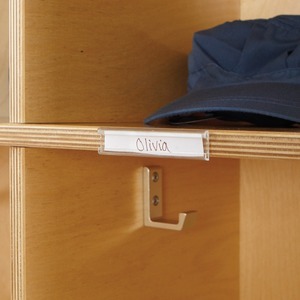 Clear plastic, name tag holders make it easy to label cubbies and identify contents. Mount name tag holders above or below cubbies with the peel-and-stick adhesive. Slide-in cards (sold separately) can be replaced as needed.